For all IRS systems, choose the installer with the best reputation in Dulwich and South East London for your residences. Calling all block owners and managing agents in Dulwich and South East London; want to know how to increase your rents, reduce hassle from tenants and increase the value of your SE21 property? An IRS (integrated reception system) is simply a way for digital and satellite TV and radio signals to be passed to multiple points within one large building e.g. your flat block in SE21. Your tenants can now subscribe independently to Sky, Freeview, Freesat or any other digital media service normally available in Dulwich and South East London without having the clutter of unsightly extra dishes and aerials on your building. Installing an IRS System in your SE21 property involves us placing a combination of specially designed receiving equipment such as aerials and satellite dishes on the roof (out of sight, so your building still looks neat) and the signal received is then brought down one cable to the tenant. This then gives each individual tenant satellite and digital aerial signals for TV and radio, all through one cable. We have specially trained and qualified IRS engineers based in Dulwich and South East London who have lots of experience in implementing these systems in flat blocks large and small so as to reduce disruption and create an aesthetically pleasing result. To get expert advice and free initial consultation on IRS for your SE21 building, just give us a call and we’ll be happy to walk you through the options. Whether we are installing a new IRS system for flats or servicing, repairing or replacing an existing one in Dulwich and South East London, you have our absolute assurance that you’ll be receiving the best equipment and components that are available. We will always use the highest quality brands in the IRS marketplace for your SE21 flats including Televes, Antiference, Humax, Triax and Raven. It’s not just the bigger pieces of kit we invest in, Catenary cabling and Wf100 cabling are used regularly as standard in our work. All of these manufacturers provide CIA approved products, meaning they meet the industry benchmark standards for quality and performance. Engaging a Dulwich and South East London based company to install an IRS system for flats is perhaps an even more difficult decision than calling one to your home because there are so many more people who can potentially be affected. Our SE21 engineers stand out in every respect, from the quality of the work through to their tidiness, politeness and punctuality. In addition we have a dedicated servicing and repairs team based in Dulwich and South East London who try to operate a “same day solve” for all our SE21 commercial clients; they’ll get to your flats quickly and carry a huge range of spares on the van that will get your IRS system back to normal and stop your phone ringing in no time at all. If there’s anything that we haven’t covered that you’d like to know either about IRS system for flats or specifically relating to our Dulwich and South East London office or your SE21 location then do drop us a line and we’ll be happy to help..
Aerials Satellite & Freeview are one of the only companies in the UK and in Dulwich, SE21 and throughout South East London to provide a 3 year guarantee on all brand new aerial installations and also on some of our satellite systems. We use only Benchmark products and materials such as Televes, Antiferance, Blake, Fraccarro, Vision, Webro, Triax, Wolsey and Global on our aerial and satellite installations. We have installers all over South East London that are specialists in their field and your area so rest assured we are the team for you. Whatever the size of the job we will provide a free quotation with no fuss in and around the Dulwich SE21 area. Check out our Checkatrade feedback for live local customer reports on our installations, servicing and repair visits in Dulwich, SE21 and throughout London, South East London and South East London. Q: Do I need a digital aerial to receive Freeview TV in Dulwich, SE21? A: Digital signals pass though all UHF aerials including the older types of so called analogue aerials so as long as the signal strength and quality of the aerial is ok then you are in business. If you are experiencing picture problems you may need a visit from a specialist local Dulwich aerial company like ours for a free survey. A: This is a signal issue that can be caused either by the TV aerial/satellite dish out of alignment, equipment fault, cable issue or satellite box fault. You will need to have the equipment checked by a qualified local Dulwich, SE21 satellite installer or technician. A: This may be down to how this point was installed or there could be a cable or socket fault. Check all connections and contact us for a local free Dulwich service/repair technician to visit and provide a quotation. Q: I have had a Sky installer at our Dulwich, SE21 property that refuses to install the dish in a location we want i.e. the roof or possibly the chimney stack. Can you install Sky dishes and provide Sky TV contracts in Dulwich? A: Aerials Satellites & Freeview are local Dulwich, SE21 independent Sky installers. We can provide the contract and install the dish in almost any location you want (signal and fixings dependent) and with cable management skills that normal Sky technicians just do not have. Aerials, Satellites & Freeview are specialists in bespoke audio visual installations in Dulwich, SE21 and throughout South East London with many years’ experience in our field. Please see our testimonials page for our customer feedback or look on Checkatrade.com. With our experience we can assure you we are the team to carry out your bespoke installations. We offer a free site survey in Dulwich, SE21 and throughout South East London on all new audio visual projects such as a new TV wall mounting installation, home cinema surround sound install, data cat5/6/7 installations or the complete bespoke home automation system with one touch remote controls. All our installers have the skills and knowledge to assess your SE21 property and supply the best quote for your requirements all for free in Dulwich and South East London. No matter what your audio visual project is Aerials Satellites & Freeview are on hand to provide the best installers for your installation or service of your system and with a dedicated team in our Dulwich SE21 office to help with any questions, rest assured we are the team for you. I have an old audio visual system that needs updating can you repair or replace old equipment in Dulwich, SE21? Q: Can you provide a full service from planning the installation of cables, wall chasing and equipment supply to commissioning in Dulwich? A: We take on every single part of the installation planning and commissioning process for you as standard Dulwich, SE21 and throughout South East London. All that is needed is a basic description from you as to what you want out of the new system and we will do the rest. A: Yes we carry out flat to wall and cantilever TV installations/mounting and offer a full service from supplying power and HDMI cables to chasing the wall or installing D-Line cable wall trunking for discreet cable management in Dulwich, SE21. A: Yes we carry out bespoke wall and ceiling speaker installations in SE21 for many different system types such as Sonos and many more. Aerials Satellites & Freeview are one of Dulwich, SE21 ‘s best and most loved installation choices for European and international satellites and channels with hundreds of languages on offer from English, Polish, French, Arabic, German, Italian, Hungarian, Spanish, Bulgarian, Croatian, Dutch, Portuguese, Romanian, Swedish, Russian and many many more all available in Dulwich, SE21 and throughout South East London .We will have the right European satellite system for your needs. All we need is a description of what type of system you are looking for, eg High definition (HD) or standard definition (SD) and either the language or channels you are looking for or the satellite name of which there are many; i.e. : Hotbird, Astra 1, Astra 2, Euro Bird, Arabsat, BADR, Hispasat, Eutelsat, Thor and we will do the rest. 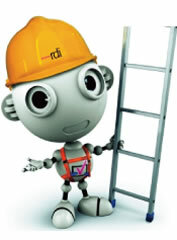 All our local Dulwich, SE21 technicians are fully CRB checked and monitored daily for quality and service and they also hold NVQ’S in Signal Reception Pathways and have full Health and Safety Certificates in Working at Heights for ladder, ropes and roof work. You can check out our excellent real and live Dulwich, SE21 customer feedback on our testimonials page or at Checkatrade.com. Q: I have an old dish on my Dulwich, SE21 house for Sky can we use this for European channels? Q: I have a satellite dish for another European satellite on my Dulwich, SE21 property. Can you connect multiple satellites on to one dish? Q: Do you provide a one stop shop for European satellite installations and equipment supplies in Dulwich, SE21? A: Yes we offer a free site survey in your Dulwich home where we assess your requirements and then provide you with a quote for the entire works from the satellite dish, LNB, bracket and cabling installation, to supplying the relevant satellite rece Dulwich box and tuning the channels requested. This is then followed by a full customer education training by your local Dulwich, SE21 installer. Here at Aerials Satellites & Freeview’s Dulwich SE21 office we have dedicated Freesat satellite dish technicians with years of experience in installations and servicing of all types of Freesat equipment so rest assured our installers can discreetly install your satellite dish to many different locations on your Dulwich, SE21 property and throughout South East London using our wide range of brackets and products with great guarantees. Only Benchmarked products are used in our Dulwich, SE21 Freesat installations with brands like: Humax, Triax, Inverto, Orbital, Technomate, Goodman’s and Sagem. We can also install specialist discreet Squish dishes for when a satellite dish in not allowed to be installed on your Dulwich, SE21 property i.e. a block of communal flats. All of our local Dulwich, SE21 engineers have been CRB checked and are vetted and monitored by Checkatrade for our customer’s peace of mind and in addition they all have NVQ’S in Signal Reception Pathways and have been fully trained for working at heights and with ropes and ladders. Q: Can I use a Freesat HD of PVR box on my communal dish that’s installed on my Dulwich block of flats? Q: I have a European satellite dish installed on my Dulwich, SE21 property can this be used to pick up Freesat channels but also still receive my other European channels at the same time? A: Yes we install dishes on chimneys and have specialist brackets and poles that will help get the most from your Dulwich, SE21 property. Aerials Satellites & Freeview have many years’ experience in communal and commercial IRS system installations in Dulwich, SE21 and throughout South East London. We have built up a trust with many of our regular Dulwich, SE21 customers for servicing and repairs on existing blocks of flats with builders, maintenance companies, estate agents and developers. We pride ourselves in what we do and aim to deliver Ashford Dulwich the best solution for your Dulwich project. From design to installation rest assured we only use the best product and materials with brands such as Triax, Televes, Antiferance, Vision, Fracarro, Global, Webro and many more. IRS stands for Integrated Reception System. It is a sophisticated piece of equipment designed for large buildings, complexes and commercial properties in Dulwich, SE21 and throughout South East London with many sockets to allow unrestricted access to digital freeview and radio channels with Sky and European satellite options available that includes having Sky, Sky Plus, Sky HD, Freesat and Freesat HD at each location hassle free. Our IRS systems can get access to many satellites like: Astra 1, Astra 2, Hotbird, BADR, Arabsat, Eurobird and many more. There are many different types of IRS systems that can be installed from one dish with freeview and radio signals to multiple satellites of up to four on diseq multiswitches all down one cable. The newest, and fast becoming the system to have is fibre optical IRS systems mainly from Global and Fracarro. This type of IRS system allows longer runs of fibre cable with very low loss on signals and the obvious thing is its compact neat and tidy, ideal for your Dulwich, SE21 property. We have local Dulwich, SE21 engineers that are CRB checked and hold NVQ’S in Signal Reception Pathways for installing IRS systems and servicing. Our engineers also hold Working at Heights Certificates for roof, ropes and ladder work for complete customer peace of mind. Q: We have an existing MATV aerial system installed in our Dulwich, SE21 block of flats with single cable runs from the main location to all TV points inside the flats/apartments. Can we use the existing cables and upgrade the head end system to a new IRS aerial and satellite system with Sky plus signals down the single cables? A: Yes there are IRS systems that utilise single cable systems that can stack two satellite signals down the one cable then split the signals back to two at the socket location. The IRS system uses a SCR multiswitch to stack the signals and special smart splitters the other end to allow the required services in your Dulwich, SE21 property. Q: How many satellites can you have on an IRS system in Dulwich, SE21? A: The most common IRS system is a single satellite system but using special diseq multiswitches we can install one, two, three and even four satellites for your required languages in Dulwich, SE21 and throughout South East London. Q: Do you carry out repairs and servicing on communal IRS systems in the Dulwich, SE21 area? A: Yes not only do we install many different types of IRS systems we can also service, repair and maintain systems even if they were not installed by Aerials Satellites & Freeview in Dulwich, SE21 and throughout South East London. Aerials Satellites & Freeview are dedicated signal reception experts covering Dulwich, SE21 and throughout South East London. We have many years’ experience in installing MATV and SMATV systems in commercial and communal buildings and blocks of flats in Dulwich, SE21 for the ultimate viewing experience that provides the best quality TV services to all connected TV points. We provide specialist installation and servicing engineers for both SMATV and MATV systems with a dedicated team in our Dulwich, SE21 office so no matter where you live we can provide a bespoke design for your property free of charge within South East London. Alternative solutions are available for your commercial or residential Dulwich, SE21 property regarding the SMATV or MATV system in the way of an IRS system (Integrated Reception System). Quotes are available on request. MATV stands for “Master Antenna Television” which basically is a combination of freeview TV and radio aerials installed and connected to a communal distribution amplifier and signals sent down a single cable to each TV/ Radio location in your Dulwich, SE21 apartment/flat or commercial property. Our Dulwich, SE21 technicians are vetted and monitored daily by Checkatrade and have been CRB checked for your safety. In addition to this they all hold NVQ’S in Signal Reception Pathways so you can be rest assured that your installation or service/repair is in safe hands. Q: Do you service and repair MATV or SMATV systems that you did not install in Dulwich, SE21? A: We can service and repair any type of SMATV and MATV system even if we did not install the system first time around. We also offer maintenance contracts for existing systems as well as our own in Dulwich, SE21 and throughout South East London. Q: How do I know a SMATV or MATV system is the best option for our Dulwich, SE21 commercial/communal property? All our local Dulwich aerial installers hold NVQ’S in Signal Reception Pathways to ensure you get a competent technician for your job. They are also CRB checked and vetted by Checkatrade. We only use the best quality Benchmarked products and materials on all our aerial installations to ensure you get the best TV experience, with brands such as Televes, Triax, Antiferance, Blake, Webro, Vision. Why use our Dulwich, SE21 aerial installation or repair services? Well, Aerials Satellites & Freeview have spent years building up great relationships with our customers both commercial and residential. They know when we are asked to attend their aerial fault on a service callout or for a new TV aerial installation the job will be done right first time with no fuss. Check out our excellent live customer feedback reports from Checkatrade and see for yourself. Feedback report areas cover Dulwich, SE21 and throughout South East London. A: Well there are many different reasons why the picture can freeze or pixelate from issues with the aerial, its position or direction, to cabling connection faults or even amplifier faults. The best thing to do is check all the connections are connected properly and call a local Dulwich, SE21 qualified aerial service technician if the problem still exists. Q: Do you offer free quotes and site visits in Dulwich, SE21? A: Yes we supply free quotes and estimates on all new aerial installations and aerial service/repair in Dulwich, SE21 and throughout South East London. Q: I have an existing TV aerial on my Dulwich property, can we have additional TV sockets/points installed around our home from this? A: We can add additional sockets from existing systems depending on the signals and quality. All we need to do is attend at your SE21 property to test your system and provide a site survey/quote for the works needed. Q: We have a picture problem with our TV set but we have a communal aerial installed on our Dulwich, SE21 block of flats can you service /repair commercial systems? A: Yes we specialise in communal and commercial aerial installations and repairs in Dulwich, SE21 and throughout South East London. You don’t always need to replace your old TV aerial system. Dulwich’s Aerials Satellites & Freeview office offer a free site survey and free quotation upon request, so rest assured that when you call us in Dulwich, SE21 we will expertly identify any faults with your existing equipment and provide a written quote that explains what needs to be done to get you a crystal clear TV picture. If you are looking for a brand new digital TV aerial installation in Dulwich, SE21 and throughout South East London. Look no further then Aerials Satellites & Freeview as we have many years’ experience in providing the best TV aerial system for your Dulwich area. To give our customers peace of mind our quality NVQ qualified engineers and technicians are regularly quality checked, vetted and monitored by Checkatrade. Check out our live feedback today and see for yourself. Q: Do you offer same day callouts for installations and repairs in Dulwich, SE21? A: Yes we provide same day service callouts for repairs and installations where and when possible in Dulwich, SE21 and throughout South East London. Q: Do you provide free quotations and site surveys in Dulwich, SE21? Q: We want a new TV aerial installed in our Dulwich, SE21 home but how many TV sockets can we have off the one aerial? A: Well, it depends on the strength of the signal from the transmitter in your Dulwich area but with the use of professional amplifiers and splitters there is literally no limit to the amount of TV sockets we can install around your Dulwich, SE21 home. Aerials Satellites & Freeview are your local Dulwich, SE21 independent Sky installers and retailers, specialising in supplying and installing a wide range of Sky products and services which include TV, broadband and telephone all with a direct and personal touch in Dulwich, SE21 and throughout South East London. Unlike using Sky’s direct installers our local Dulwich, SE21 technicians can install a wide range of specialist brackets for bespoke and discreet Sky satellite dish installations. If you have been told by Sky that they will not install your satellite dish in a location you have requested like a flat roof or chimney stack (special heights installation) or if they can’t run the cabling in a way you would like, then you need a local Dulwich, SE21 independent Sky installer to install your system. We also have a specialist team in Dulwich, SE21 and throughout South East London who provide a Sky satellite service and repair program to existing and new customers, we have many years’ experience in repairing and servicing broken Sky satellite systems from the components on the Sky dish itself to cabling and even Sky boxes. Aerials Satellites & Freeview only use quality products that boast all the Benchmarks expected of them, for example Pace, Amstrad, Televes, Triax, Antiferance, Webro, Raven, Inverto, Fracarro, ISS and many many more. All our Dulwich, SE21 installers and technicians hold NVQ’S in Signal Reception Pathways and are regularly vetted and monitored by Checkatrade for customer satisfaction. A: Well, there are many reasons why this can happen from the Sky dish being out of alignment to a broken LNB on the dish to the cabling, sometimes even the Sky box could have some issues. Try turning the Sky box off at the wall for a few minutes then back on. If this does not help then call in your local Dulwich, SE21 experts for a repair. Q: Sky will not install our satellite dish on the roof or chimney. They say it’s too high or dangerous and that we need a local Dulwich, SE21 independent installer. A: Most communal buildings will need a communal Sky system such as an IRS or FSD system. If there is not one in place then get in touch with the Directors of the block or the Management Company that deal with the repairs to ask your questions and for permission for us to visit your Dulwich property. Q: I have a European satellite dish installed on my Dulwich, SE21 house can we use this to get Sky or Freesat channels? Aerials Satellite & Freeview are specialist service and repair experts covering Dulwich, SE21 and throughout South East London. We have dedicated teams who deal with their specific field of expertise for all the services we offer on our website, so rest assured you have come to the right place. - Digital TV aerial servicing and repairs in Dulwich, SE21 and throughout South East London. - FM & DAB aerial servicing and repairs in Dulwich, SE21 and throughout South East London. - Independent Digital Sky satellite servicing and repairs in Dulwich, SE21 and throughout South East London. - European satellite servicing and repairs in Dulwich, SE21 and throughout South East London. - Freesat servicing and repairs in Dulwich, SE21 and throughout South East London. - IRS system servicing and repairs in Dulwich, SE21 and throughout South East London. - Audio and visual servicing and repairs in Dulwich, SE21 and throughout South East London. - MATV & SMATV servicing and repairs Dulwich, SE21 and throughout South East London. - Communal commercial and residential servicing and repairs for blocks of flats/ apartments and offices Dulwich, SE21 and throughout South East London. Call today for your local Dulwich, SE21 knowledgeable engineer’s visit free of charge for a quotation. Check out our excellent live customer feedback before you make your choice direct from Checkatrade. Q: We have a bespoke audio & visual sound system that needs a repair or updating in Dulwich, SE21 can you help? A: Yes our local Dulwich audio visual technicians can repair and upgrade if needed a wide range of AV systems with free quotes and home visits. A: Yes our Dulwich, SE21 satellite installers can visit your house for a free quote to repair any satellite faults. A: Yes we have a local Dulwich TV aerial service and repair team that can visit your home today for a free no obligation quotation. A: Yes, we have dedicated European satellite service/repair team ready and waiting in Dulwich, SE21 for you call today. Q: We live in a block of flats in Dulwich, SE21 and our aerial and satellite system has broken down. Do you repair IRS communal aerial and satellite systems? A: Yes, we have specialist IRS, SMATV and MATV service and repair technicians covering Dulwich, SE21 and throughout South East London.